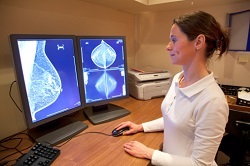 NICE has recommended the Intrabeam Radiotherapy System for people with early breast cancer in limited circumstances with additional data collection, but has rejected the use of breast cancer drug palbociclib (Ibrance) as its cost is too high in relation to its potential benefits. Both announcements were made in draft guidance that is out for consultation now. The recommendation regarding the Intrabeam Therapy System for further data collection was made as NICE is not yet certain whether Intrabeam, marketed by Carl Zeiss UK, is as effective as conventional radiotherapy in stopping the cancer coming back. However, the independent appraisal committee heard the risk of this happening is low in the patients who would receive Intrabeam and that people may be prepared to accept some uncertainty if it means they don’t need radiotherapy after their surgery. Regular radiotherapy typically requires numerous doses over a 3 week period, and is performed weeks after surgery when the wounds have healed. However, NICE did not recommend the use of breast cancer drug palbociclib (Ibrance) because its cost is too high in relation to its potential benefits in draft guidance out for consultation. Palbociclib is used to treat hormone receptor (HR) positive, human epidermal growth factor receptor 2 (HER2) negative locally advanced or metastatic breast cancer. A full course of treatment with palbociclib costs £79,650, with approximately 5,500 people in England would be eligible for treatment with palbociclib.